Online audio for this show was underwritten by Gordon and Mark Dreyfus in honor of their parents, Walter N. and Catherine F. Dreyfus, both WWII veterans. Periodically on Hoosier History Live, we salute Hoosiers who served during what has been called "the most significant and influential event of the 20th century" by inviting survivors to share insights about their lives before, during and after World War II. 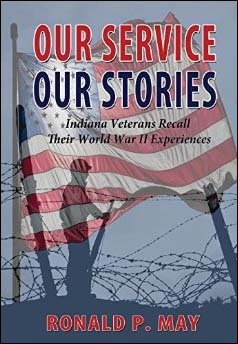 Our guests on this show will be two central Indiana residents in their 90s - veterans of the Army Air Force and the Navy - as well as a chaplain who has included their stories in a new book. Paul Maves, a retired civil engineer who lives on the west side of Indianapolis. 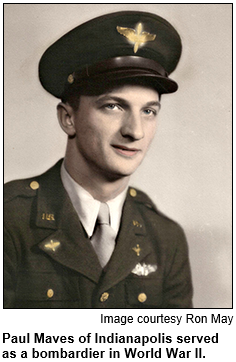 During World War II, he was a bombardier with the Army Air Force and served with a squadron that provided aerial support during the Battle of the Bulge in December 1944. And Walter Dreyfus of Greenwood, who is retired from the insurance industry. 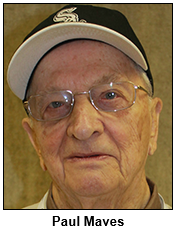 A Navy veteran, Walter served on ships off North Africa, Italy, England and France. He helped ready some minesweeper ships for the D-Day invasion and helped retrieve - and do sea burials for - bodies found after the historic invasion. He persevered and went on to serve on B-26 bombers; close calls included a mission on a hobbled aircraft that endured more than 300 strikes from German artillery. Walter served in radio communications on the Navy ships; on land in France, he was part of a reconnaissance party ambushed by Germans. (He survived by hiding in a ditch.) In Cherbourg, Walter met Catherine Fox, a WAC from Indianapolis. They later married and, before Catherine's death in 2013, returned to France for the 50th and 60th anniversaries of Cherbourg's liberation. Both Paul and Walter have participated on Indy Honor Flights to Washington D.C. Our guest Ron May accompanied Hoosier veterans on one of the flights. In the prelude to his book, Ron notes that of the 16 million service members who fought in WWII, only about 850,000 are still alive. About 500 pass away daily. As a Navy reserve chaplain, Ron served 10 military units before retiring in 2012. 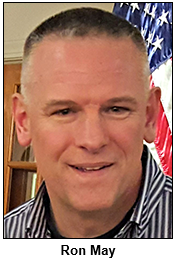 He currently serves as the chaplain at Hoosier Village Retirement Community in Zionsville and as the hospice chaplain at Paradigm Living Concepts in Indianapolis. His book Our Service Our Stories features the memories of 36 World War II veterans; he is working on a second volume. According to Paul Maves' account in the book, the close call with his B-26 occurred over Germany when the aircraft's engine started malfunctioning, forcing the crew to descend to a low and dangerous altitude. They were unable to keep up with other planes in their squadron and found themselves alone over enemy territory in twilight. After 300 strikes on their B-26, the crew was able to guide it safely back to France. After returning from the war, Paul married his wife, Shirley, who died in 2003. 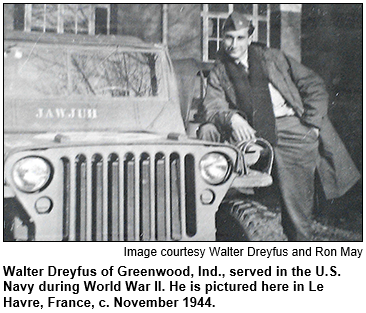 Our guest Walter Dreyfus installed and maintained radio and radar equipment on Navy ships during World War II. 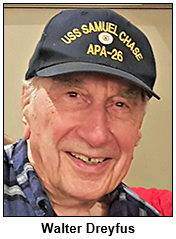 As D-Day approached, Walter and other radio techs went from one minesweeper ship to another, changing radio crystals so Germans could not intercept their communications. Two weeks after D-Day, Walter and other Navy personnel had the task of retrieving bodies still on Omaha Beach after the amphibious landing. Then, the bodies were buried at sea in canvas bags. The 72nd anniversary of D-Day will be June 6. Previous Hoosier History Live shows featuring interviews with veterans of WWII have included programs in January 2014 and February 2015. Guests on those shows included veterans whose stories are shared, respectively, in the books World War II: Duty, Honor, Country and World War II Legacies: Stories of Northeast Indiana. Reflections of World War II veterans - Hoosier History Live newsletter for the Feb. 28, 2015 show featuring WWII vets Don Shady, Bob Foster (now deceased) and author Kayleen Reusser, all of northern Indiana. World War II veterans remember - Hoosier History Live newsletter for the Jan. 11, 2014 show featuring WWII veteran Merrill "Lefty" Huntzinger of Noblesville (now deceased) and authors Steve Hardwick and Duane Hodgin. Indy Honor Flight - This non-profit organization transports Indiana veterans to Washington, D.C. to visit and reflect at their memorials. Top priority is given to the senior veterans - World War II survivors, along with those veterans who may be terminally ill. Guest Roadtripper and author and educator Andrea Neal tells us: "A walk along Evansville's riverfront esplanade evokes memories of the worst natural disaster in the history of the Ohio River: The Great Flood of 1937." The levee is the most visible reminder. It was built by the U.S. Army Corps of Engineers to protect the city from a future catastrophe. For 17 miles, earth embankments and concrete floodwalls serve as a border between the people of Vanderburgh County and the river. There's a staff gauge on the pump house hash-marked to 54 feet, the height where the 1937 floodwaters finally stopped rising after 22 days above flood level. "For the people who experienced the flood, this was the most dramatic experience of their life, other than World War II," says historian Robert L. Reid. "The rains started in December, and they kept coming and they kept coming and they kept coming until, by the middle of January, the Ohio was above flood stage virtually everywhere." The rain combined with sleet and snow to create a hazardous scene all along the Ohio, from Pittsburgh to Cairo, Illinois. Water covered 70 percent of Louisville, 90 percent of Jeffersonville and most of New Albany. The flood killed 385 people in all, leaving 1 million homeless and causing $250 million in property damage ($3.4 billion today), according to one National Weather Service estimate. Amazingly, though Evansville was among the hardest hit, no one drowned in Vanderburgh County. In August of 1937, Congress passed the Flood Protection Act to ensure nothing like the Great Flood would happen again. Evansville's $55 million project, begun in 1939 and not completed until 1994, features raised levees, 20 pumping stations and a system of closeable gates and sandbag structures that automatically activate when the river reaches a level that prevents normal drainage. 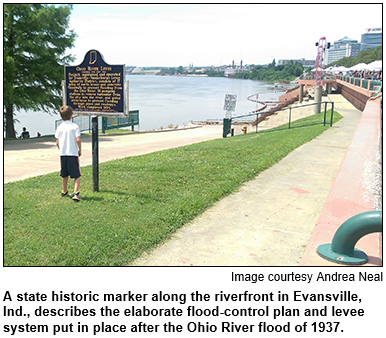 Sightseers can read about the flood thanks to historic markers along the 1.5-mile walkable riverfront trail that starts at Sunrise Park at the intersection of Waterworks Road and Riverside Drive and goes by the Evansville Museum of Art, History and Science at 411 S.E. Riverside Drive. A World War II veteran who returns to his Indiana hometown is the major character in a movie that was filmed during the late 1950s in the Hoosier state. The Army veteran was portrayed by Frank Sinatra, who, along with other major celebrities, came to a city in Indiana for on-location filming. The movie, which was based on a bestselling novel, was nominated for five Academy Awards. Although the veteran's Indiana hometown had a fictional name in the novel and movie, the real city that served as the filming site reaped significant publicity during the late 1950s. Several of the city's landmarks, including its courthouse, are visible in the movie. Question: Name both the movie and the Indiana city where it was filmed. The prize pack includes two tickets to the James Whitcomb Riley Museum and Home and a gift certificate to Arni's Restaurant, all courtesy of Visit Indy. "Hoosier History Live does more to promote Indiana history than does any single source," says Indianapolis author and educator Andrea Neal. And thanks to renewal individual donor Carol Bacon of Connecticut, who listens to us online. You can always visit the yellow button on our website, which just takes a few seconds! Or visit the Support the show page on our website. Regulars meet at the Washington Westfield Historical Society and Museum each week to listen to Hoosier History Live every Saturday at noon. The museum is at 145 S. Union St. in Westfield, Ind. The museum is free and open to the public. 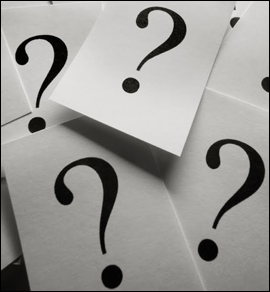 And the Irvington Library continues to meet, and often a member calls in to the show to win the History Mystery or to share a question or comment. Want to start a listening group? All you need is a relatively quiet place, chairs and a radio, or an online listening device in a place that has good wi-fi. Remember, you can listen live to our show anywhere in the world. And this is a great way to get people into your business or into your organization's space. By the way, Central Library in Indianapolis has offered a room for a listening group but needs volunteers to commit to hosting and facilitating the group. Contact producer Molly Head if you are willing to commit to facilitating such a group at molly@hoosierhistorylive.org. Hoosier History Live needs a volunteer to place basic show information and topics on online calendars around the state. If you are skilled at social media and would be interested doing some online public relations work for us, contact molly@hoosierhistorylive.org. Do your pipe dreams involve sleeping in a historic building that served as a county jail for nearly 120 years? Would you enjoy donning vintage jail clothes and uniforms during your visit? En route to the Old Jail Inn in Parke County, you could swing by the largest railroad bridge in the nation. Constructed in 1906 by Italian immigrant laborers, the Tulip Trestle Bridge is in Greene County in western Indiana. The steel-girded railroad bridge is 2,307 feet long and 157 feet tall. 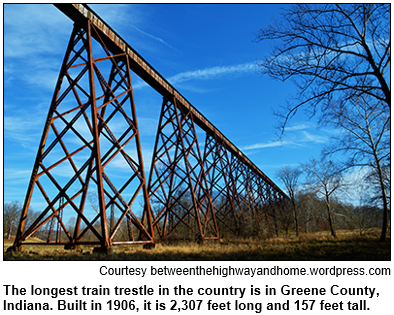 According to Visit Greene County, that makes the Tulip Trestle (known locally as "the Viaduct") the largest in the country. Graffiti on it includes the question: "Michelle, Will You Marry Me?" The Old Jail Inn, which was built in the 1870s, and the Tulip Trestle Bridge are among 200 "bucket list" destinations or experiences that Visit Indiana is touting as "musts" as Indiana celebrates its bicentennial this year. The bucket list by Visit Indiana (the Indiana Department of Tourism) includes well-known destinations such as the West Baden Springs Hotel in Orange County, the Indiana High School Basketball Hall of Fame in New Castle and the Decatur County Courthouse, which has a tree growing out of its roof in Greensburg. Rather than exploring those sites - which have been the focus of previous Hoosier History Live shows - we will delve into little-known destinations or fresh experiences on the bucket list, particularly those with historic aspects. They include a trip to the restaurant considered the oldest in Indiana. It's the Log Inn, which was built as a stagecoach stop and trading post in 1825 in the tiny town of Haubstadt about 12 miles north of Evansville. According to folklore, the Log Inn was patronized by Abraham Lincoln in 1844 during a speaking tour to tout Henry Clay as the Whig Party's presidential candidate. (By then, Lincoln would have been a resident of Illinois for more than 20 years. But young Abe had lived with his family in southern Indiana beginning in 1816, the same year we became the 19th state.) The Log Inn serves fried chicken, ham and roast beef. To share details about the Log Inn and other "bucket list" sites and experiences, Nelson will be joined in studio by Jake Oakman, who has been Visit Indiana's communications director. Jake recently became media relations director for Lt. Gov. Eric Holcomb, who oversees tourism. The bucket list is topped by the Old Jail Inn, an Italianate structure that served as the Parke County Jail from 1879 to 1998; for much of that time, it also was the residence of county sheriffs and their families. In 2010, the Old Jail Inn opened as a bed-and-breakfast where guests are encouraged to don original jail clothes and uniforms. The state's bucket list is divided into destinations and "must do" experiences, such as dining at the Log Inn. Experiences also include participating in the massive raft race at Fort Wayne's popular Three Rivers Festival. Fort Wayne, Indiana's second-largest city, is located at the confluence of three rivers (the St. Mary, St. Joseph and the Maumee), accounting for the name of the festival. It has been a popular annual event since 1969; this year's Three Rivers Festival will be July 8-16.